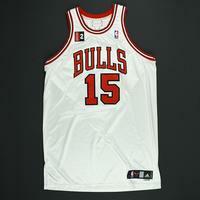 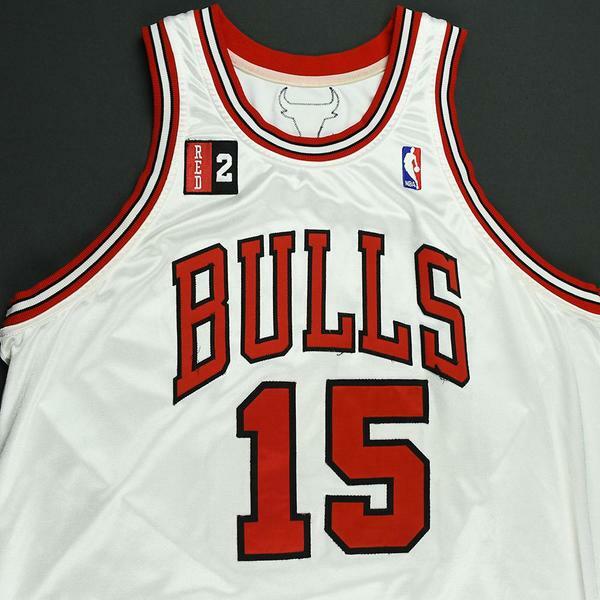 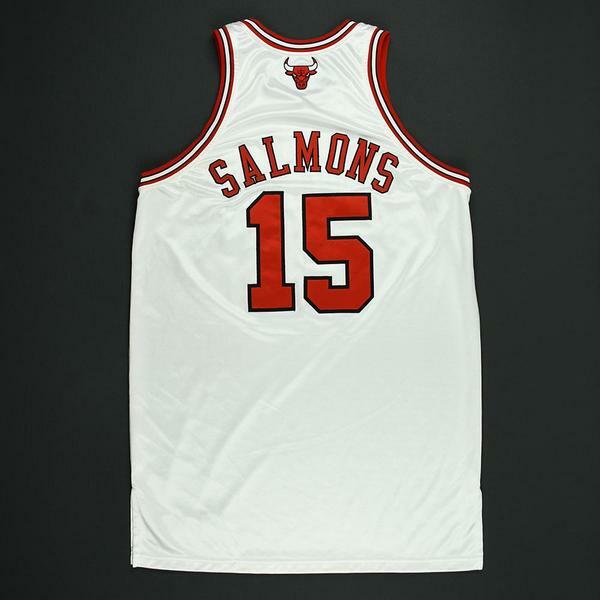 John Salmons wore this white jersey while playing for the Chicago Bulls during the 2008-09 National Basketball Association season. 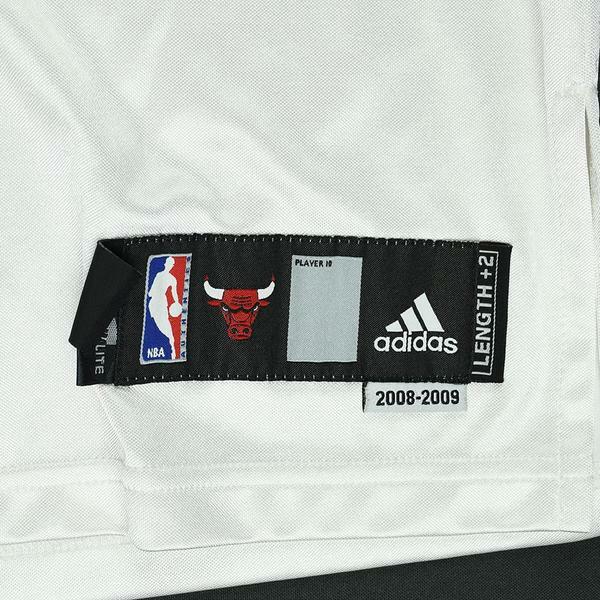 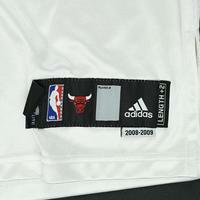 It includes the Red "2" patch and is photo-matched to two games: March 6, 2009 vs. the Milwaukee Bucks, and April 7, 2009 vs. the New York Knicks. 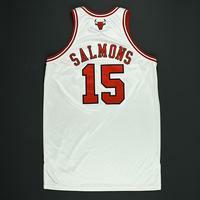 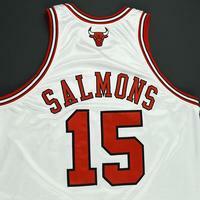 Salmons played in the NBA for 15 seasons, averaging 9.3 points per game over 895 career games. He averaged 18.3 points and 4.3 rebounds per game in 26 games for the Bulls in 2008-09.